Visit Plaka District and Erechtheion for their historical value. 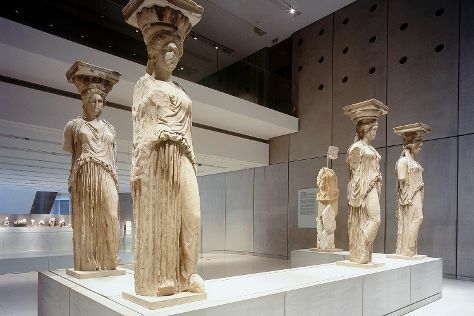 Acropolis Museum and Acropolis of Athens are good opportunities to explore the local culture. The adventure continues: kick back and relax at Glyfada Beach, admire the masterpieces at National Archaeological Museum, delve into the distant past at Ancient Agora of Athens, and pause for some photo ops at Temple of Olympian Zeus. To find more things to do, maps, ratings, and more tourist information, go to the Athens trip builder. Berlin, Germany to Athens is an approximately 6.5-hour flight. You can also drive; or do a combination of train and bus. The time zone changes from Central European Time (CET) to Eastern European Time (EET), which is usually a 1 hour difference. Plan for a bit warmer temperatures traveling from Berlin in July, with highs in Athens at 39°C and lows at 27°C. Finish up your sightseeing early on the 13th (Thu) so you can travel back home.